"not too hard, not too soft, just right"
Existing nursery chairs are either comfortable, or less bulky, never both. The Mama Chair is a lightweight and comfortable upholstered nursery chair for small space living. The goal is to make the chair practical but also enjoyable for both the new parent and the child by designing it to facilitate multiple activities such as nursing, napping, cradling, and playing. Pleasing aesthetics and small-space efficiency would allow the chair to transition into another room in the house after the baby is weaned, thus making it an affordable alternative. Supposedly, WOMEN look for COMFORT in a chair and MEN look for STATUS. Designers assume that the needs of the body have already been met by the use of chairs. Since the chair has been with us for at least a thousand years and its basic form has stayed more or less the same ever since, it may be thought to be a perfect object to design. 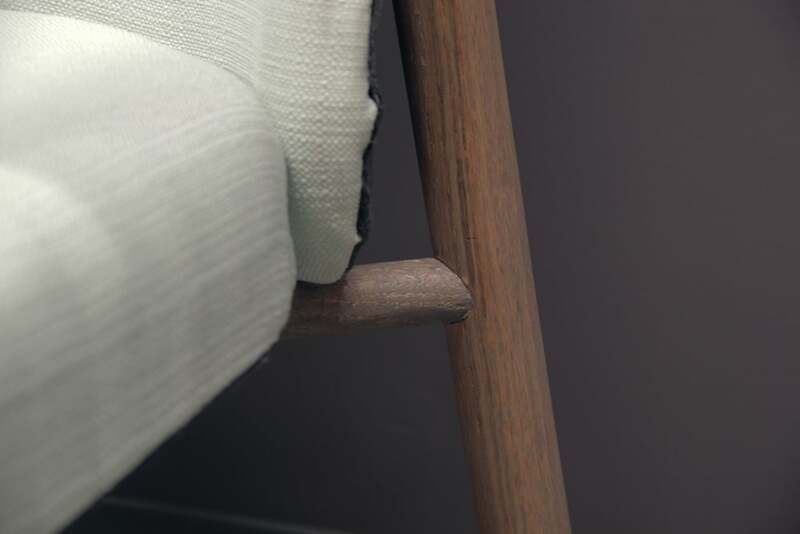 This basic “perfection” thus makes designers only focus on stylistic play and refinement rather than a criticality towards how good the chair is for the human body.